Sony has revealed that it's cracking down on sexually explicit content in PlayStation games, in a change to its "in-house standards". According to Cnet, a Sony representative told the Wall Street Journal that "its decision was based on the rise of the #MeToo movement", which has seen powerful individuals across the tech, entertainment, and music industries ousted from their positions amid accusations of sexual assault and harassment. 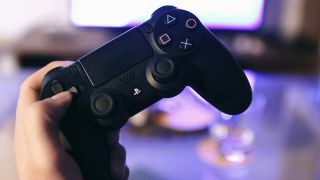 A spokesperson for Sony told the WSJ that its guidelines were in place "so that creators can offer well-balanced content on the platform", as well as to help ensure that playing video games "does not inhibit the sound growth and development" of young people. Sony isn't just concerned with the ethics of allowing sexually explicit content in PlayStation games – it's also worried about the potential for legal action against the company if it doesn't introduce stricter rules for developers. A spokesperson told the WSJ that there was concern that "[the] company could become a target of legal and social action."